Well, I'm proud to report that this month's New Era features a pinewood derby gag submitted by me! Rather than post that gag today, I'm going to hold off for a week and instead post one of the half dozen or so gags I've submitted in the past that the magazine passed on. *Of course, if you can't wait a week, you could always go and purchase a copy of this month's New Era--I assure you that it is going to be a collectors item! When are you going to be holding a signing so we can get your John Hancock on our New Era's? Can't wait to see your published Pinewood Derby Comic. I already have three copies myself! Congratulations! 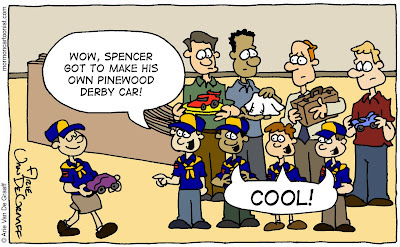 I'm holding out for your next publication, the hardback edition of "The Big Book of Pinewood Derby Comics." As an insider, I can say that the New Era comic is exceptional. 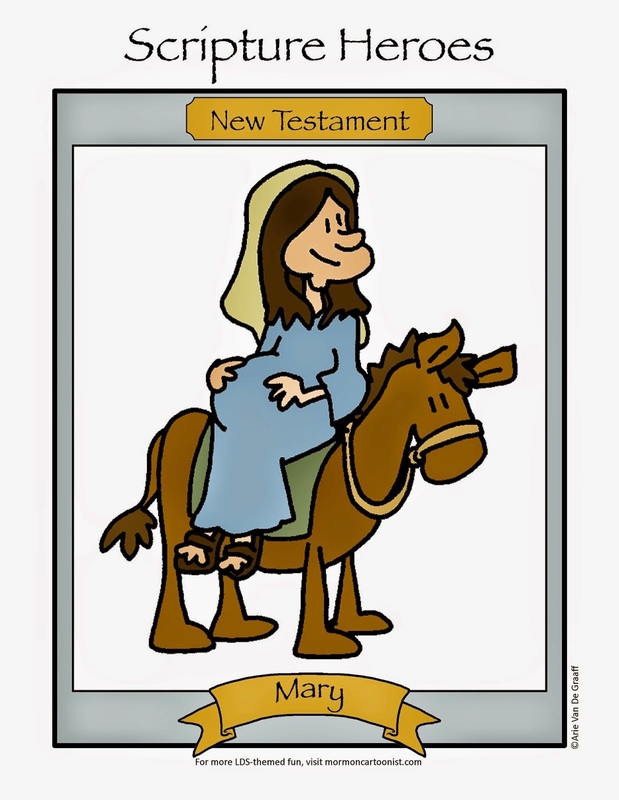 Congratulations on achieving another cartooning milestone! Now that you are the foremost authority on all things relating to the pinewood derby, our boys should have no problem winning next year...right. My sister's married student ward at the U had a pinewood derby activity...no children involved.